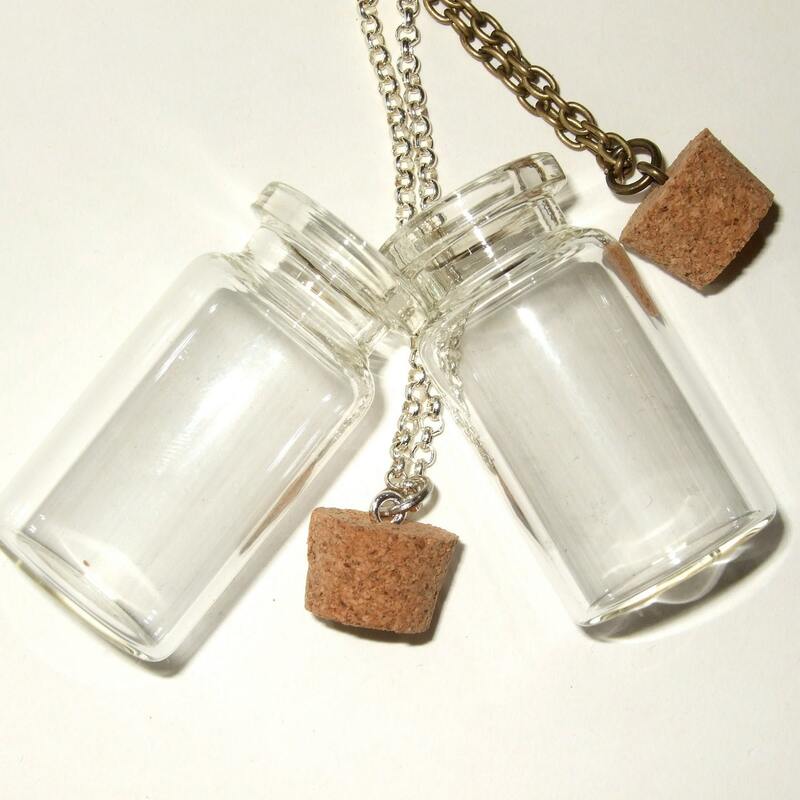 DIY bottle necklace - if you have been inspired by my range of bottle necklaces (or especially if you think "hey, I could do WAY better than that!") then why not do it yourself? 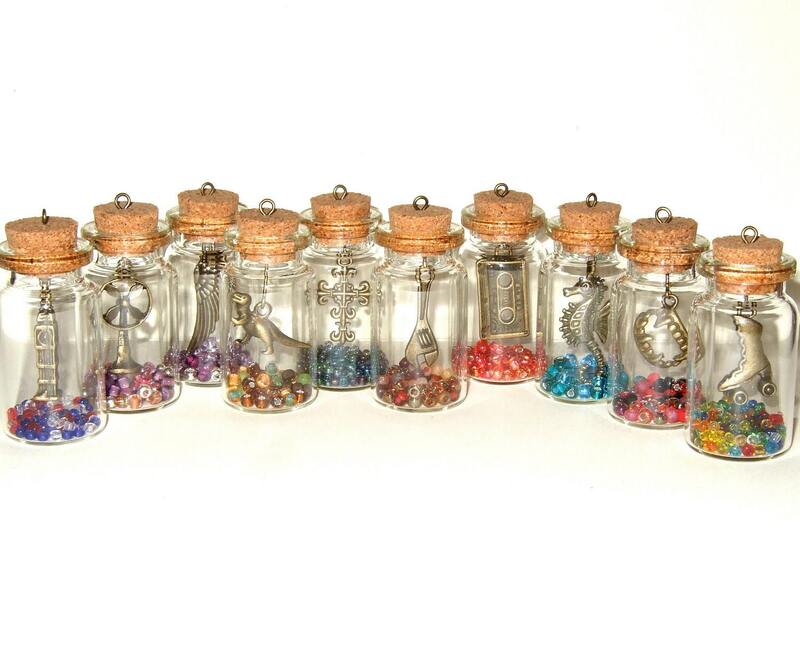 If you have something little and special that you would like to carry around with you - some beads, a piece of photograph, a little note, sand from a special beach, dried flowers, a tiny rolled-up poem, a lock of hair… it's easy to capture it in a bottle. Simply pop your treasure in, glue for security (see below for my glue recommendation) and away you go! 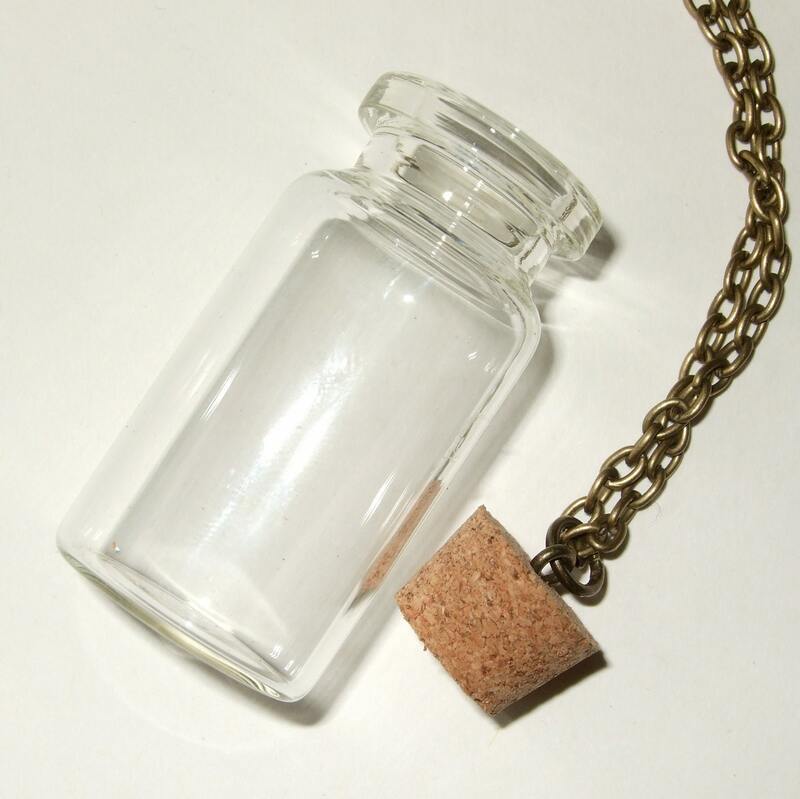 The bottle opening is just over 0.5"/13mm wide, so make sure your treasure can fit in there. 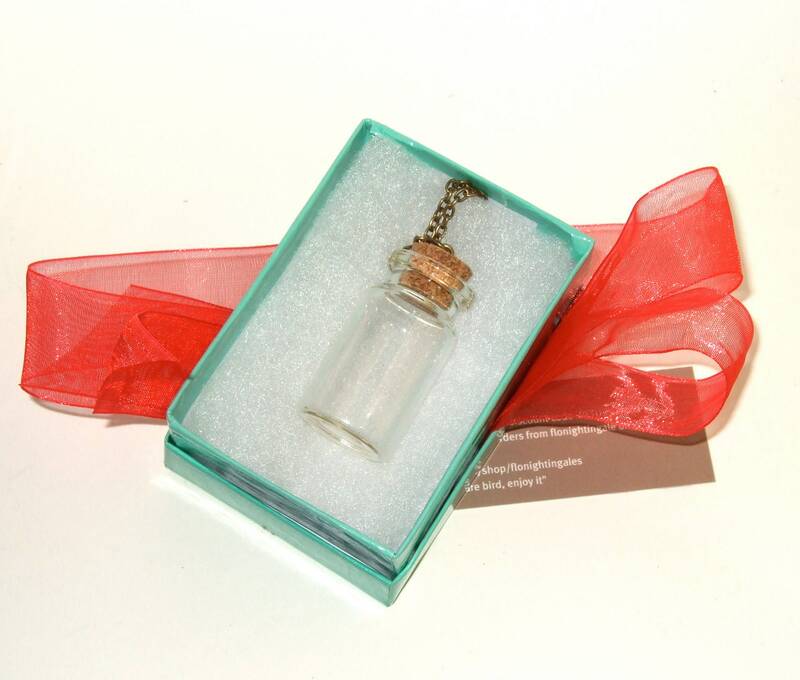 Necklace comprises a clear glass jar, approximately 1.75"/4.5cm tall, with a cork which has been pre-fitted with an eye pin loop and jump ring, hanging from a bronze plated chain - please choose your preferred length from the available options. Also included is a cardboard gift box* with an organza bow* and gift bag*, perfect to give as a special gift or to keep your bottle safe and cosy in just for yourself. Picture 5 gives you some ideas but I'm sure you have much better ideas yourself! 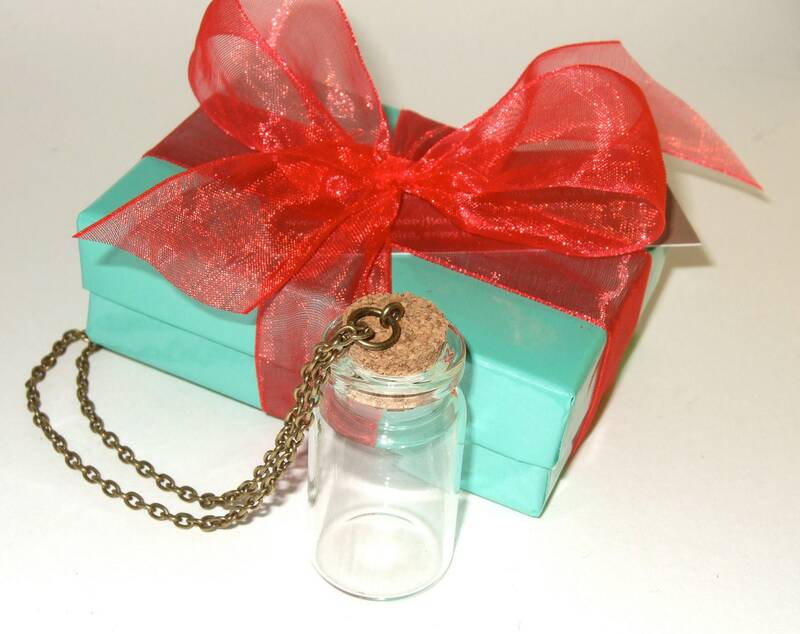 Oh, and I use E6000 glue for all of my bottle necklaces, and am happy to say it is the best glue I have found - it dries clear and totally secure. Please choose the 'glue included' option if you would like a tube of E6000 glue sent with your order!